Do you want to get the best from Mintos? With so many options for investment on our marketplace, it is important to know which ones to choose. To help you with this, we present a series detailing the unique opportunities each country on Mintos offers investors, starting with Poland. To many investors, Poland might not seem like an obvious choice. However, the alternative financial market in Poland is growing quickly. 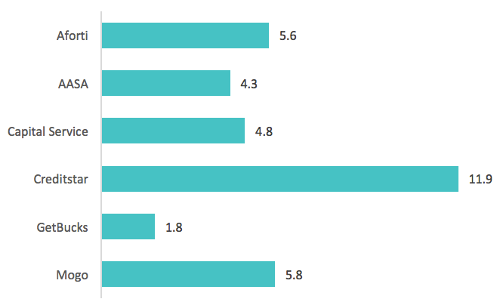 Poland currently is one of the top five largest markets in terms of the loan supply on Mintos, offering a huge diversity in the loans available for investment in both euro (EUR), Polish złoty (PLN) and even British pound (GBP). 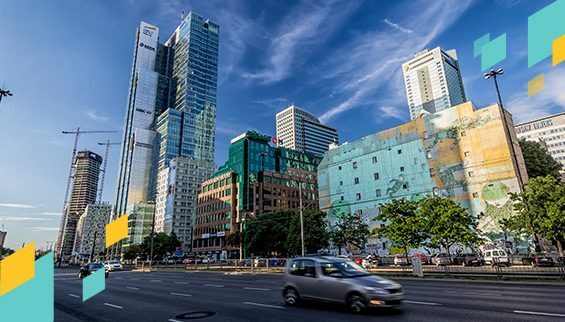 Poland’s economy has enjoyed 23 years of uninterrupted growth, making it the sixth largest economy in the European Union, and it is not looking to slow down anytime soon. According to the research company The Brookings Institution, since 1989 Poland’s GDP per capita has more than doubled and compared to economies at a similar level in development, Poland has experienced the fastest growth. The country’s economy has shown strong resilience in tough economic times and during the global financial crisis in 2008-2009 it was the only EU country to not go into recession. Poland’s strong and consistent growth is close to beating the world’s historic growth records. According to PwC, the economy has the potential to grow around 3% per annum until 2030 and 2.5% per annum until 2050. Poland’s strong growth is being recognised by the experts. In October 2017, FTSE Russell reclassified Poland from being an emerging economy to a developed country. Poland is the first country in Eastern Europe to attain this status. Demonstrating robust growth, right now Poland is one of the most promising European markets for investment. When it comes to investing in loans, economic stability means lower risk for systemic defaults stemming from country’s economic downturn. 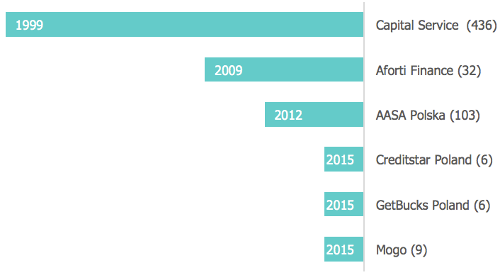 The alternative finance market in Poland is relatively new. However, in the past several years it has been growing rapidly as the low level of debt and relatively high cost of traditional loans has sparked the appearance of many alternative financing companies in Poland. In 2015, Poland ranked amongst the top 15 countries in Europe for the volume of alternative finance. Similar to many other countries where regulators face the challenge of finding the best regulatory approach to managing the increasing supply and demand for alternative financing and innovative financial solutions, the future of the Poland’s fintech sector and alternative finance, in particular, is dependant on advancement in regulation. If no restrictive policies are introduced, experts forecast the alternative finance market in Poland might accelerate rapidly. Statista estimates the annual growth rate of Transaction Value in the fintech market in Poland will be 14.6 % for the next five years. For investors on Mintos, this means an ongoing supply of Poland-issued loans with attractive returns on offer. One of the benefits of Mintos is the opportunity to invest in different currencies. The Polish złoty is one of the nine currencies currently on offer on Mintos. For investors on Mintos residing in Poland, investing in złoty is the obvious choice – to avoid currency exchange fees and worries about currency rate fluctuations. However, investing in złoty is also an attractive option for investors for whom it is not their native currency as the experts say – now is the right time to do so. At the beginning of 2017, the Polish złoty was the best performing emerging currency against the euro. 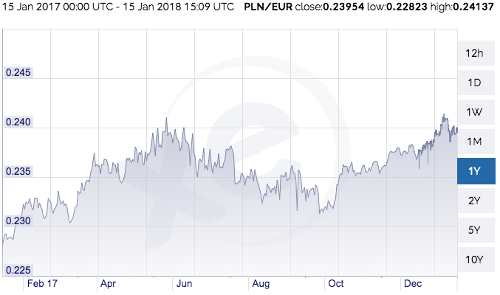 Although political instability did cause some volatility in the złoty, the currency held onto its strength and gained about 5.5% versus the euro in 2017. This makes the złoty the year’s best performing currency alongside the Czech koruna according to NASDAQ. This surge in confidence was driven by Poland’s improving growth prospects and a renewed interest among foreign investors in złoty bonds. At Mintos, we see Poland as one of the most promising markets in Europe. To demonstrate the importance of Polish operations, Polish is one of the seven languages our website is available in. Mintos also has a representation office in Poland and has become a member of the European Fintech Forum. This allows us to stay updated on all of the latest developments in the alternative finance market in the country, create partnerships with Polish loan originators, and provide the best opportunities for investors on Mintos. According to investment volume, currently, Poland is among top five geographies on Mintos with six active loan originators who have financed EUR 34 million worth of loans as of January 2018. We have worked hard to attract the best loan originators operating on the Polish market and continue working to connect new loan originators. – Polish subsidiary of the largest regional car lease company Mogo. Because of the diversity in companies, the Polish market on Mintos can offer a variety of loans for investors. These range from business and car loans to short-term and long-term consumer loans. In addition to the variety of loans available for investment on the Mintos marketplace, each loan originator offers investment opportunities both in euro (EUR) and Polish złoty (PLN). Mogo is the first one to offer its Poland-issued loans also in British pound (GBP). All of the loan originators featured on the Mintos marketplace undergo due diligence before being accepted on Mintos. 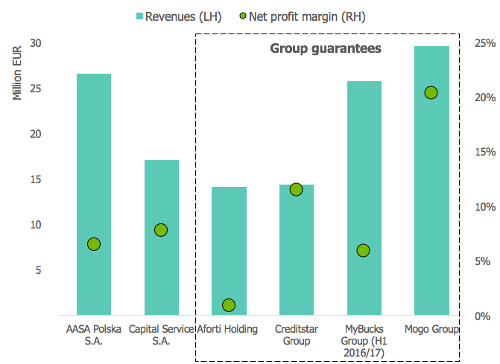 One of the key metrics evaluated in the process is the profitability of the company to secure its ability to fulfil its financial obligations towards investors on Mintos. 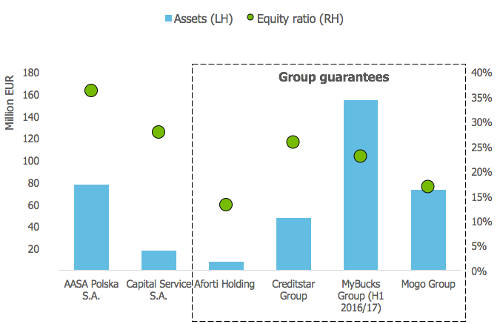 The larger Polish lenders on Mintos have demonstrated sustainable profitability on their own, while smaller and more recently established companies are supported by a guarantee from the respective group company. All of the lenders also have strong capital positions and the commitment from shareholders to ensure the continuity of the business and its ability to endure adverse market or asset quality shifts. After the launch of the partnership, we continue monitoring loan originators’ performance on an ongoing basis to ensure their business is stable over time. The Polish market has a lot to offer on Mintos, including a large variety of loans and multiple currencies for investment, as well as many options for diversification. If you would like to take advantage of these abundant opportunities, head to the Primary market on Mintos and explore the options available. Stay tuned for our next analysis on another top market on Mintos with details on all the unique opportunities this market can do for you.